Against a background of revolution in France, and amid the ongoing struggle for social justice, Jean Valjean’s daughter, Cosette grew to adulthood. But even the turmoil of her childhood—born illegitimate, unwillingly abandoned by her mother, beloved by her adopted father with whom she lived in hiding—could not prepare her for tumult to come. At eighteen, Cosette marries her true love, Marius. Together as a wealthy young couple, they found the radical newspaper, La Lumièrecommitted to the ideals of liberté égalité fraternité. La Lumière helps to usher in the Revolution of 1848 that topples the French monarchy forever, and gives France a new Republic. Cosette and Marius are at first embraced by the Republic, and then betrayed by it. Political alliances shift, grow murky under the president, Louis-Napoleon Bonaparte. In a brutal coup d’etat, in 1851, some three years after he was elected, Louis-Napoleon declares himself Emperor Napoleon III. The rise of the Second Empire crushes the hopes of everyone who had believed in the Republic, who had fought on the barricades and in the streets. In the cruel aftermath of Louis-Napoleon’s. coup, and amid the decadence of Second Empire France, Cosette loses her family, though she keeps her freedom. She loses her money, though she keeps her integrity. In doing so she comes to understand why her father so cherished freedom and integrity. They did not keep you warm at night, but they kept you upright, and gave you courage. Nineteenth century Paris in all its urban turmoil—the gorgeous and the grim—emerges in these pages. 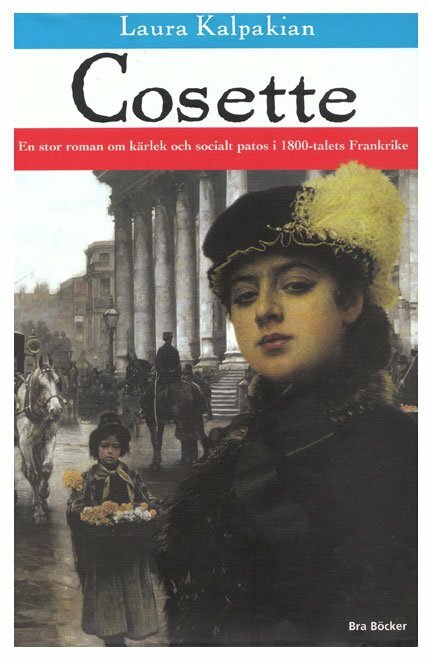 Cosette’s life takes her from dingy artists’ cafés, to brilliantly gaslit Parisian boulevards, from shadowy prisons to balls at the presidential palace, from dining with cabinet ministers to sharing a cup of soup in a ragpickers’ hovel. The people in her life are urchins and actors, printers and painters, presidents and bureaucrats, prostitutes, dancers, thieves and spies, soldiers and revolutionaries, fools and heroes. She confronts implacable foes and creates unwavering loyalties. Once a waif, Cosette emerges as a legend.